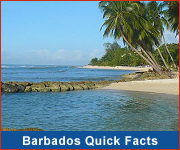 Barbados is fast becoming a preferred low tax destination for international businesses and has attracted several such businesses, particularly in the areas of Information Technology, Manufacturing and Financial Services. These businesses have found the legal, financial and accounting services offered by local Barbadian companies to be world-class. The Barbados Government focuses heavily on improving the investment climate of Barbados and on enhancing the infrastructure to support increasing business activity. Measures taken include improvements to the Corporate Registry, and the expansion of taxation treaties with the U.S., Canada and the U.K.